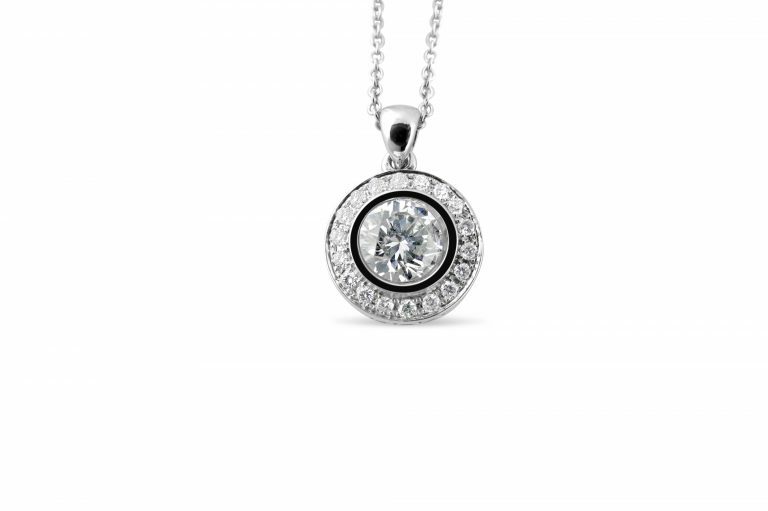 Impressive halo bezel set pendant in 14kt white gold. From .15 to 2 carat in the center, sold separately, with the side round diamonds totaling .20 carats to .35 carats. Shown is with a 1 carat round brilliant cut diamond in the center, with 20 side round diamonds, total weight .32 carats. The cost of the 14 kt white gold pendant is $875. Price does not include the chain and the center stone.